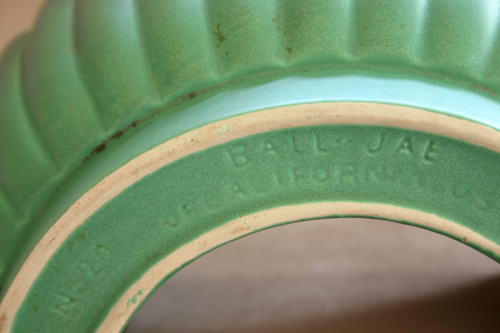 I come across items made by Ball-Jae from time-to-time, but I've been unable to find much information on the California pottery company. They appear to have been founded prior to 1955. 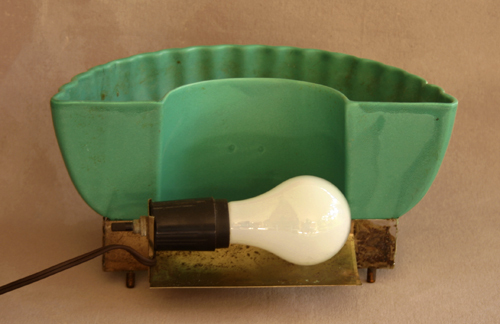 This lamp by Ball-Jae is your traditional "half-donut" design. 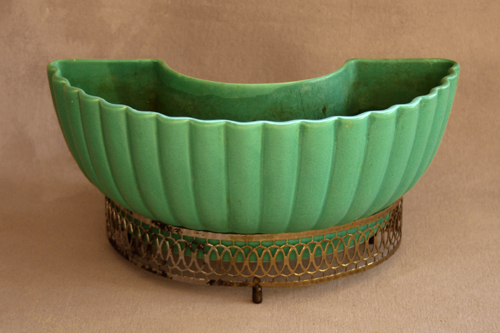 The color is unusual, and it's finished with a distinctive matte glaze. The Ball-Jae marking is on the bottom.